For WordPress, the platform that hosts Disaffected Musings, a week runs from Monday through Sunday. For the week ending yesterday Disaffected Musings reached a new weekly high in views and visitors surpassing the record set just the week before. @Velocity Enough of the ridiculously excessive airings for the commercial for Texas Metal. Even if I liked clown cars and trucks I would be sick of the commercial. I know others share the sentiment. In what I can only imagine is censorship to please a sponsoring company this tweet has disappeared from the list of those I have sent. From motor-junkie.com is an article that interested me about 14 cars whose horsepower ratings were understated by the manufacturer. Why would a company deliberately undersell a car’s horsepower? I think the most significant reason is to “fool” insurance companies. By understating output the owner/driver of a car might not have to pay as high a premium. The most famous instance of horsepower understatement, in my opinion, is the L88 option on the Corvette of the late 1960s. This option, which was installed on only 216 cars total from 1967-1969, was rated at 430 HP, which was not even the highest rated motor. The 427 cubic-inch L71 was rated at 435 HP. However, the L88 option cost more than twice as much as the L71: a whopping $947.90 in the first year it was offered (1967) while the L71 cost $437.10. Remember that the base price of a 1967 Corvette was about $4,300 so a $900+ option was very expensive. A car equipped with the L88 engine had to be sold with no heater and with no radio. So, what was the real output of the L88? Estimates vary from 535 to 575. Since Chevrolet didn’t tell the truth and since the engine is so rare an accurate assessment is not easy to find. To be honest, one of the reasons I want my restomod to be in the 550-ish HP range is so that it matches the real output of the L88. 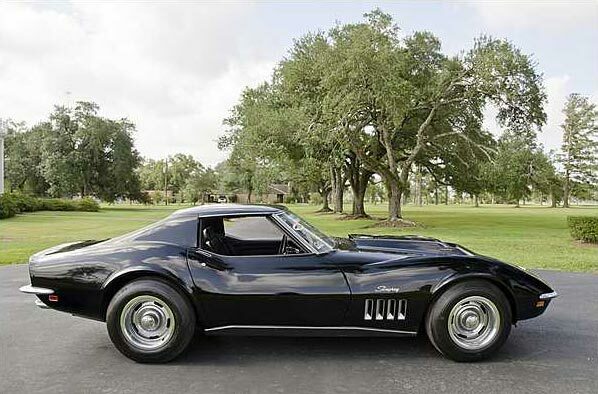 From corvetteblogger.com a picture of a 1969 L88 Corvette. Not sure if you can tell from this photo, but the L88 had a unique hood. At a recent Mecum auction a 1967 L88, of which only 20 were made, had a high bid of $1.7 million but didn’t sell because the reserve was not met. Just think, the 1967 cost of an L88 was a little over $5,000. Even adjusting for inflation these cars have really appreciated in value. According to smartasset.com $5,300 in 1967 is equal to about $40,000 today. Some of the other cars and engines from the motorjunkie article that interest me include the 426 Hemi (rated at 425 HP but probably 500 in reality) and the Buick GNX (rated at 276 HP but probably 330-340). Thanks, 56packardman. You have played a large role in that traffic increase and I am very grateful. By the way, your most recent comment is the 200th approved comment by someone other than me. My late ex-brother-in-law owned an orange Corvette of this vintage. I do not remember which engine option he had in the car. Knowing him it was one of the big block choices. He was married to my sister. Thanks, Philip. Although I know your preference, in general, is for Ford do you have any particular views on Corvettes? Asking for views is the way to grow your product…..never apologize for it!